The workflow forms is a comprehensive feature that allows marketers capture better detail to their creative brief and map it to execution. 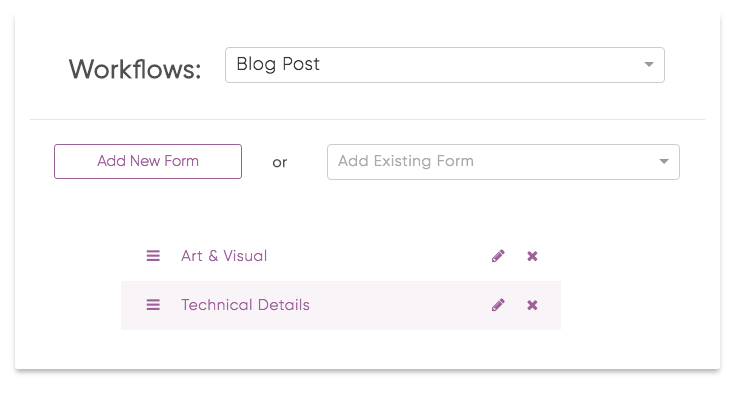 To access workflow forms go to Settings > Forms. The workflow forms are additional creative brief fields that are mapped to specific workflows. In the above example, we have the workflow Blog Post that has two forms called Arts & Visual and Technical Details. These forms will be new sections in the Creative Brief. In the Art & Visual, there's a pencil icon where you can add the field type. You can see that an image (Mintent logo) was attached to this Art & Visual form. This is a helpful way to store important information to a particular stage to the workflow for a certain content type. 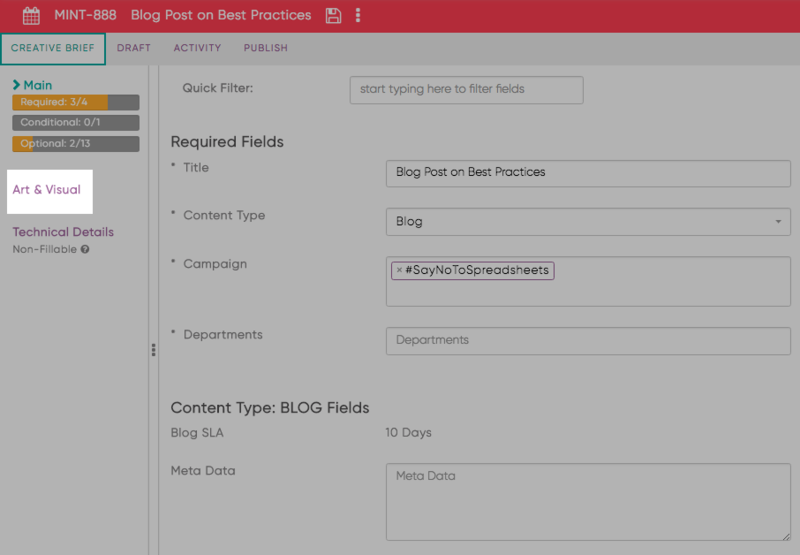 When you save this field type and create a new content type that has the Blog Post workflow you will then see this new field populated in the creative brief. This will be a new section that will reference this information. You'll also see the in the above example, that the Art & Visual section has been broken down to sections in the Creative Brief. In addition, there's the Required, Conditional, and Optional fields as it's own (Main) section. There will be more use cases added to this article.